colorado river Full day? Roaring Fork Full Day? You Choose! Of all the ways to spend the day, few are better than spending them on the water. Our trip starts with a run through the Class III Shoshone rapids. 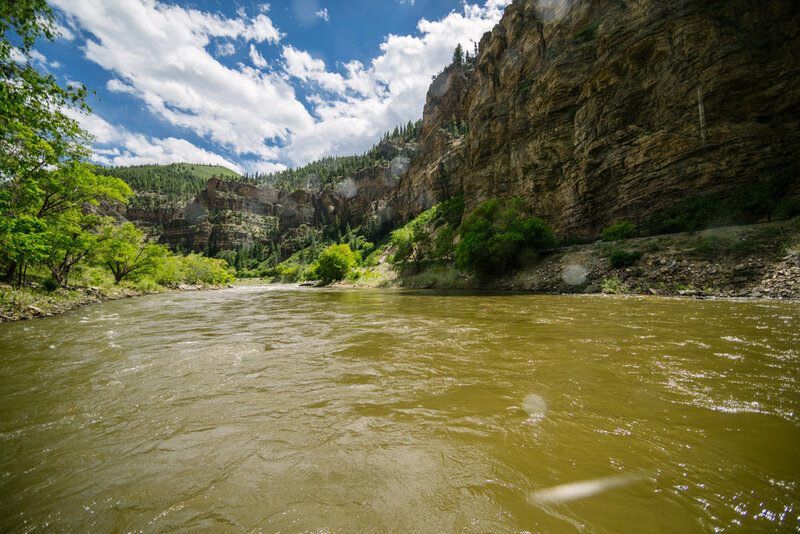 From there, we'll paddle our way through Glenwood Canyon before stopping for lunch at our private takeout in Glenwood Springs. Then it's time to hop back in the boats to continue our relaxing float down the Colorado River, though don't worry if you're not interested in relaxing. We'll break out the inflatable kayaks for those of you looking to unleash your inner-guide and get a bit more up close and personal with the river. This trip is perfect for those wishing to spend a day experiencing all that the Colorado River and Glenwood Canyon has to offer! Requirements: Paddlers must weigh at least 50lbs to raft through the Shoshone rapids. Paddlers under 50lbs (but over 30lbs) will join us at Grizzly Creek, which is just below Shoshone rapids. Also includes: Life jacket, helmet, transportation, and optional use of wetsuit, river booties, and splash jacket / pants. First-timers and families who want to experience as much of the Colorado River as possible. A full day on the river? Yes, please. With magnificent views of Mt. Sopris and some increasingly rarified peace and quiet, our morning float down the Roaring Fork gives you the chance to kick back and enjoy the sights of the Roaring Fork Valley before we link up with the Colorado River as it runs through Glenwood Springs and pull over at our private lunch stop for a hot catered lunch. 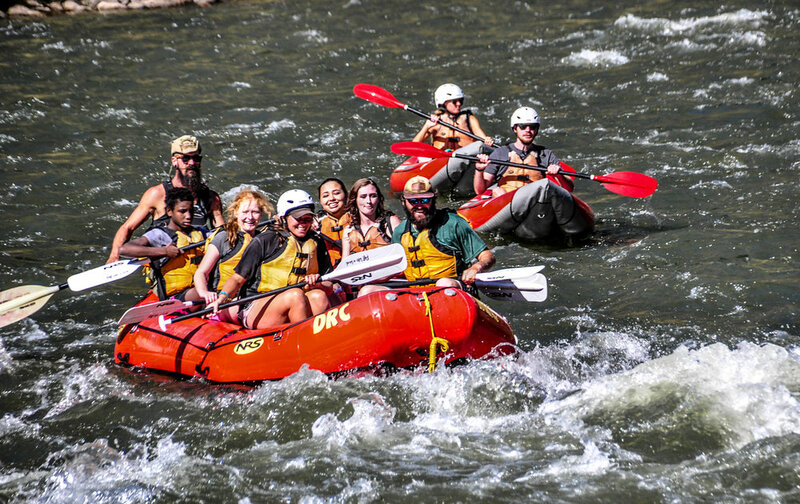 After lunch you have the option of hopping in an inflatable kayak as you make your way down the Colorado. The afternoon brings plenty of opportunities to swim and play in its refreshing, mellowed waters. Requirements: Paddlers must weigh 30lbs. Beginner and intermediate paddlers who want to spend the day soaking up the sun and the sights.